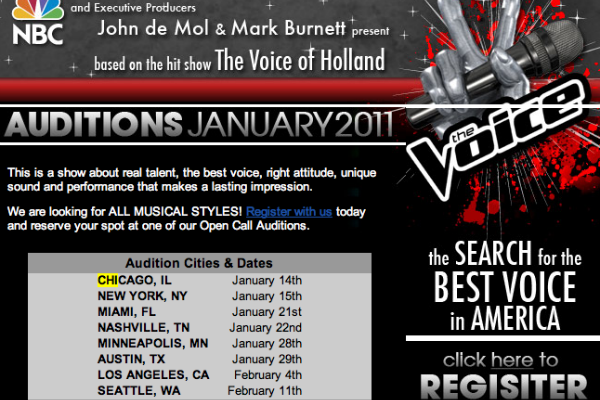 THE VOICE OF AMERICA: Auditions! 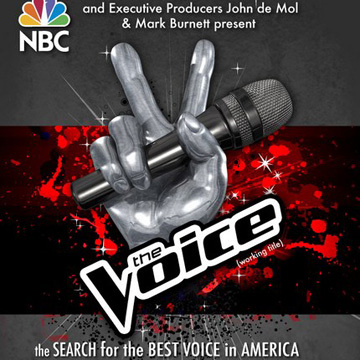 First-hand account of “The Voice of America” auditions held in Burbank, Ca over the weekend. When I heard that producer Mark Burnett (Survivor, Celebrity Apprentice) was producing a new singing competition show (from Holland) called “The Voice of America”, I was thrilled. The Voice’ introduces the concept of “the blind audition” where show judges backs face the singer. Singers are judged based on their voice. My past singing competition experience included the first season of “American Idol”. Not a great one – I was told that I didn’t “look like an American Idol”. I had an existing connection to Burnett from attending the same church as he and his wife, Roma Downey where I sing in the choir. At The Voice’ auditions, held in Burbank, Ca, a huge crowd of us waited in line while a camera crew and producer filmed many of us singing “Take Me Out to the Ballgame” for a montage. As an employee at Dodger Stadium, I was very familiar with the song, and got some one-on-one camera time – LA Dodgers wallet included! As I entered the audition room, Michelle lightened the mood by cracking a joke about my bike that I brought along with me and rolled into the room by saying “So you’re the one who stole Pee Wee Herman’s bike” I laughed and said “And its been a long rode to get here today”. I went up to the mic and introduced myself and sang a mash-up of “You are so Beautiful” and “If I A’int Got You”. Casting responded with “Thank you for that great mash up”. I exited the audition room on-fire and in love with this whole experience” I had a wonderful time I love that I met some great people with amazing talent! “The Voice of America” will air on NBC this Spring.